You know I'm not a big drinker. I rarely have a cocktail because as I have grown older alcohol doesn't start the party for me, it actually shuts it down cause momma gets sleepy! 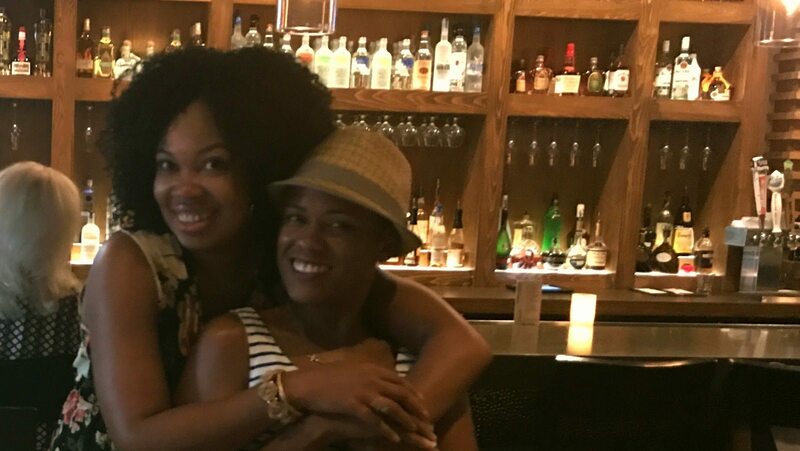 But this past weekend I had an opportunity to get out the house, hang with the girls, and well, be happy! 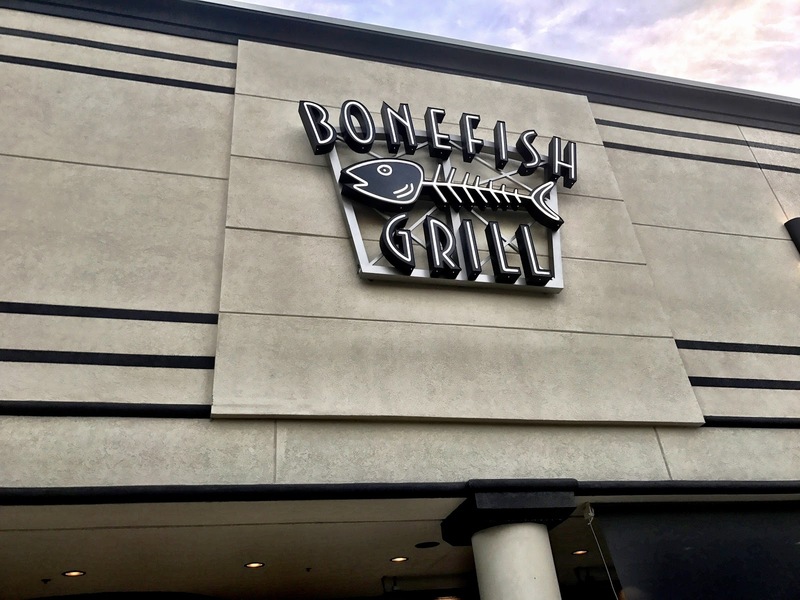 It all went down at Bonefish Bar and Grill in the North Hills area of Raleigh, North Carolina. 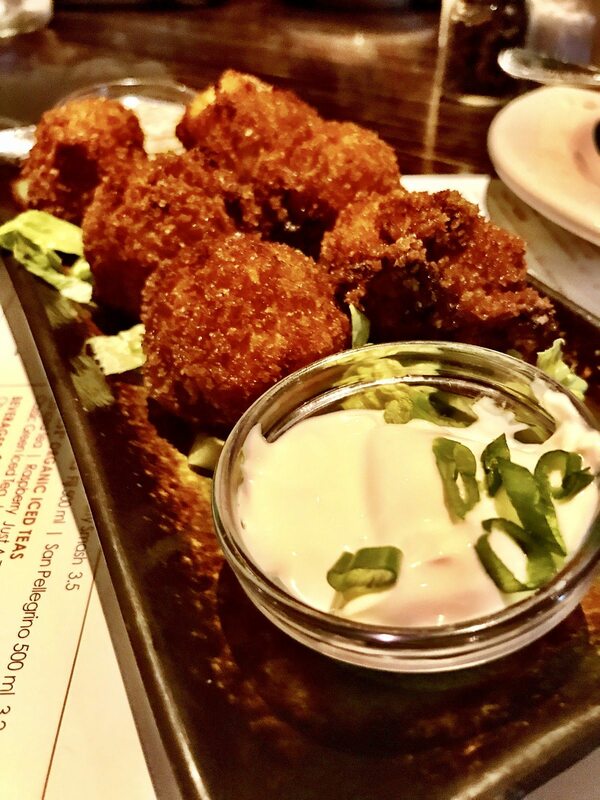 It proved that happy hour is not all about the drinks, but the eats too! I would like to share with you that our meals and drinks were comped in exchange for an honest review. Which actually is easy because Bonefish is one of my most favorite places to dine. So all opinions expressed here are my own. Lately, I have been struggling with being in a bubble. Probably a self imposed. Unable if I am being honest. Because being home with a four year old all day doesn't leave much time for adult interaction. But not only did I get out once this weekend, I got out twice! A friend invited the hubs and I over for a couples game night Saturday. And if you are an adult and you don't still play games, you are missing out. I think it's more fun than playing as a kid. 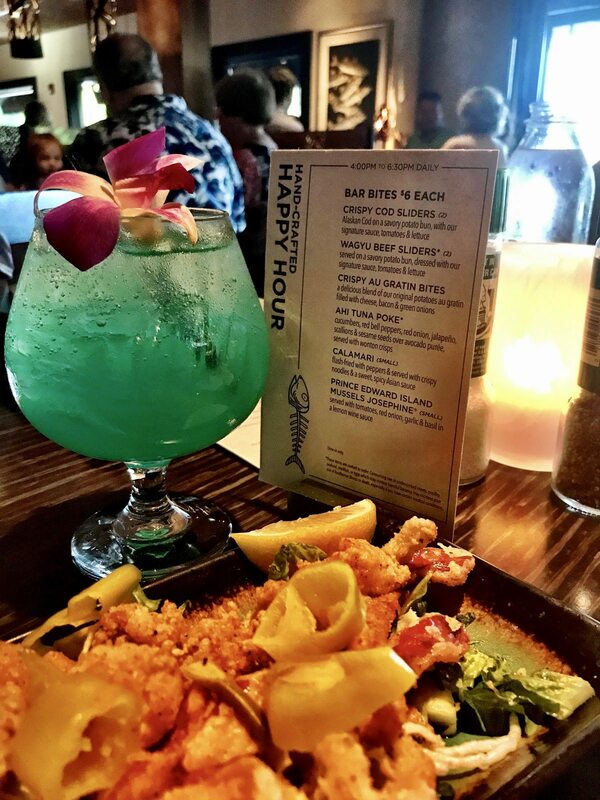 Then Sunday, Lovely Leslie from SoBeSavvy invited a group of us out to Bonefish Bar and Grill to try their new Happy Hour menu. I felt like a full fledged grown up y'all! While I can't drink much I totally enjoyed my Sparkling Blue Hawaiian Martini. For me, I slow sipped it for the night. But boy did they feed us well. I have a confession. I am thirty five years old. I love seafood. It may actually probably one of, if not thee favorite type of food to me. But would you believe, I have never had mussels??? I am happy to report that this is no longer a true statement and I can not believe I have been missing out all this time. 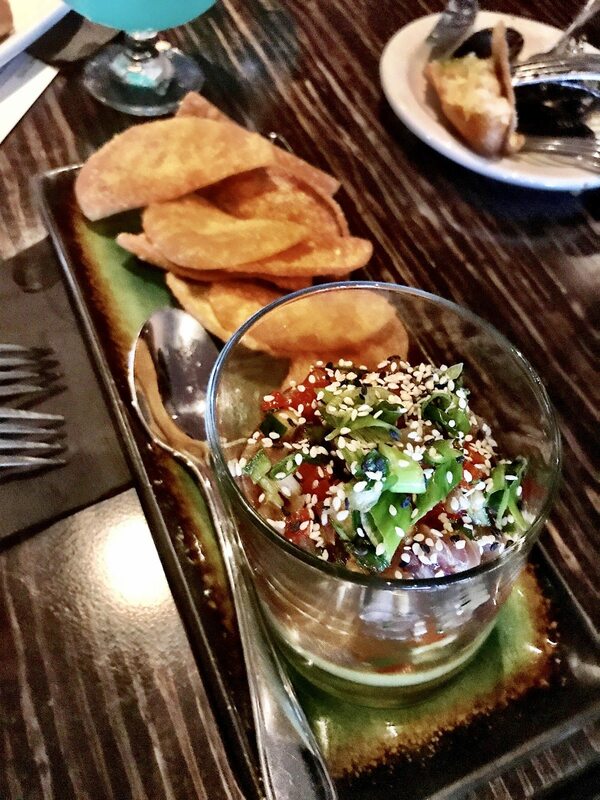 In addition to trying mussels for the first time I also indulged in poké. Something I didn't even know I was missing. It's kinda like sushi without the rice. And sushi is something that never gets old to me! There were so many delicious plates that sat down in front of me, I could not help but be happy. Don't take my word for it. 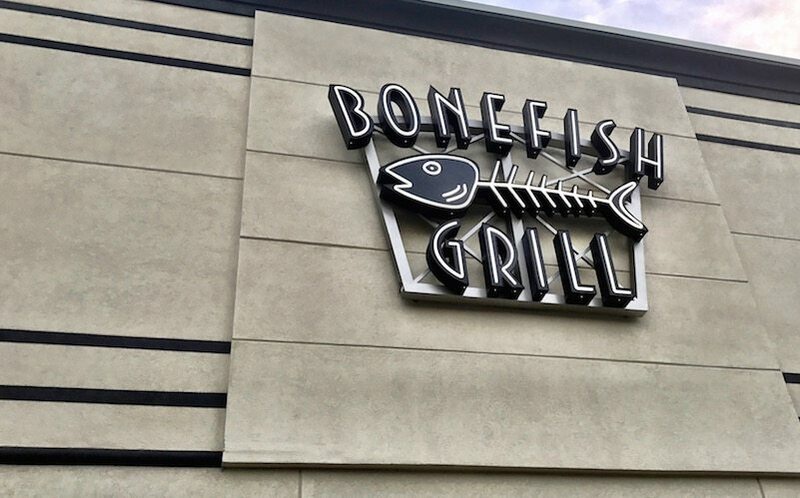 Bonefish Bar and Grill has locations all over the US. 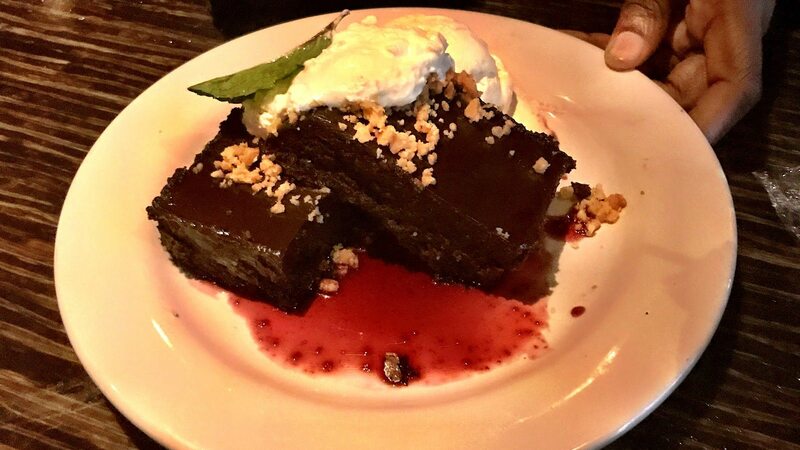 If you are looking for a pick-me-up from a long workday, something good but light before or in place of dinner, or just something good to eat, head to Bonefish today! I think a good happy hour not only has amazing drinks but great food too and Bonefish Grill does that. You captured that wonderfully and I’m definitely returning to have me some bar bites. I am glad we shared this moment together! Thanks Les! I appreciate you inviting me. The food looks great! 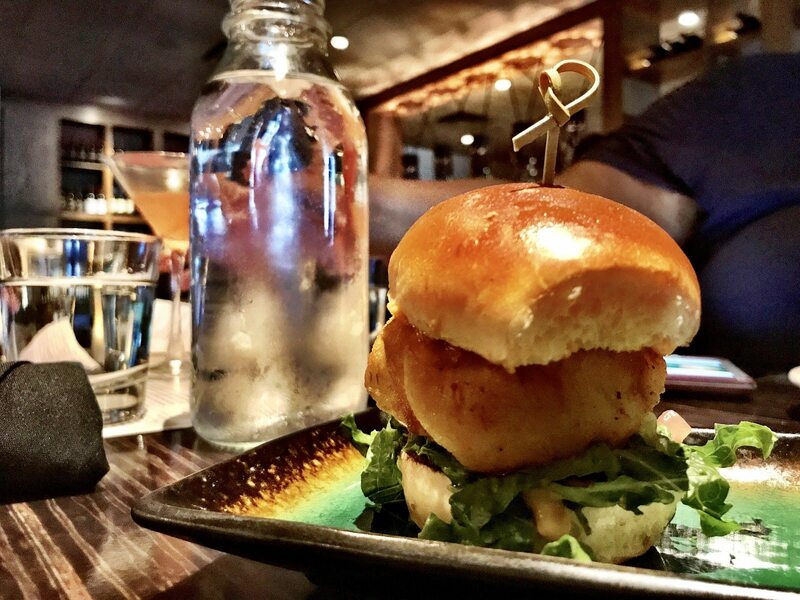 You can’t beat a good happy hour for eats and drinks. Sounds like a good time! We LOVE Bonefish! I didn’t realize they had such a great happy hour option! 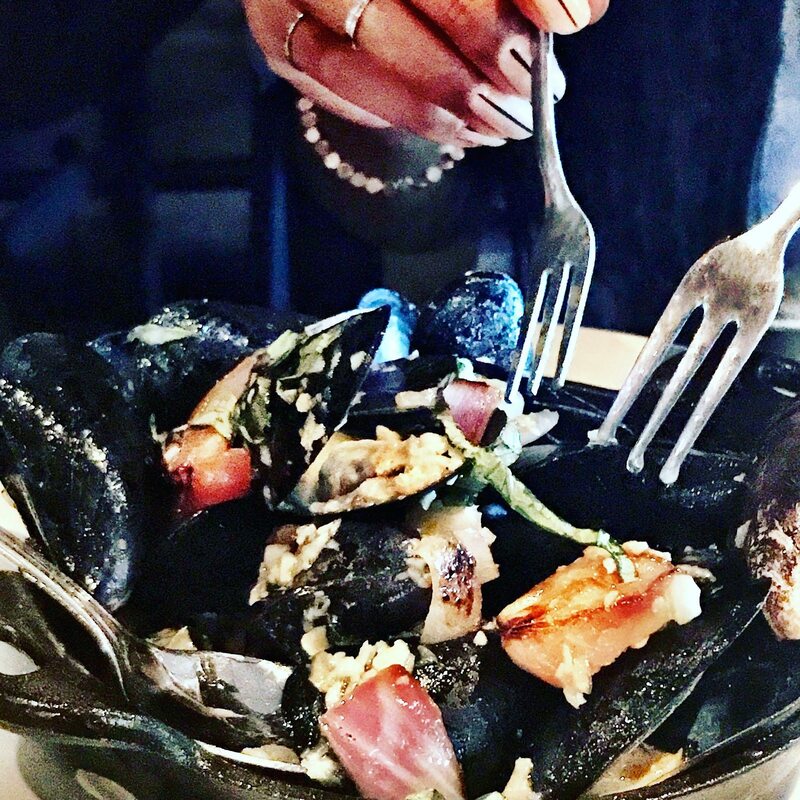 Their mussels are my absolute fave AND for only $6?! Can’t beat that! Thanks for sharing! It may be new to our area. The executive chef was telling us that the laws are kinda funky in NC and so they can’t technically have a sale for a limited amount of hours in day, so it’s a “happy hour menu” but its available all day! How cool is that??? All day?! Even better! So interesting! Right?? I just moved here last year so I had no idea! Bonefish Grill is so good! They closed down the one in my city and I’m so sad about it. Say what? For good? Where are you located? I just love that place! I would be sad too if they closed in my area! I sure am a fan of happy hour – especially when it means getting a date with my hubby! I know what you mean about being in a bubble. Summer in Nashville is like winter in the midwest — it’s too hot to be outside that it can be easy to not see people all week! same here in NC. I never thought about it like being in the winter, but you are right!